09. Hong Kong, day three – I love this city! 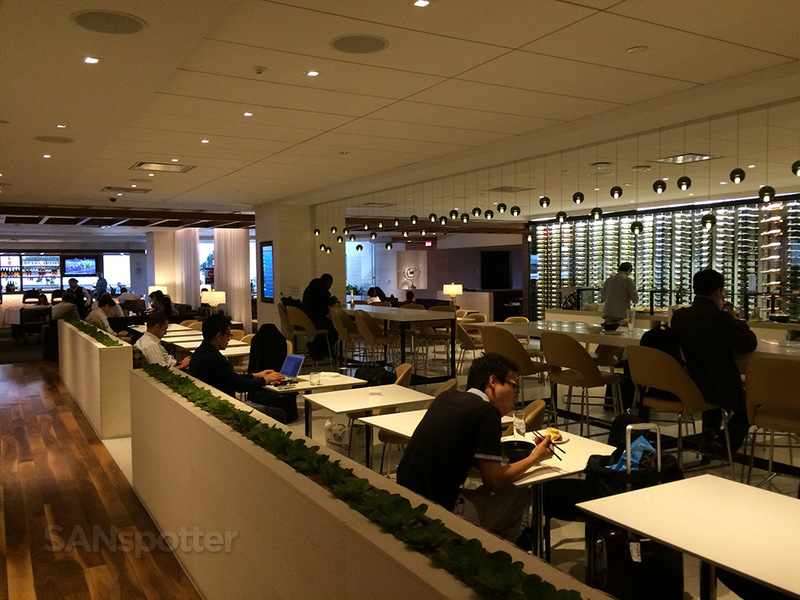 I’m going to cut right to the chase here – I actually prefer the LAX Star Alliance Business Class Lounge better than the First Class Lounge. Yes, it’s true. 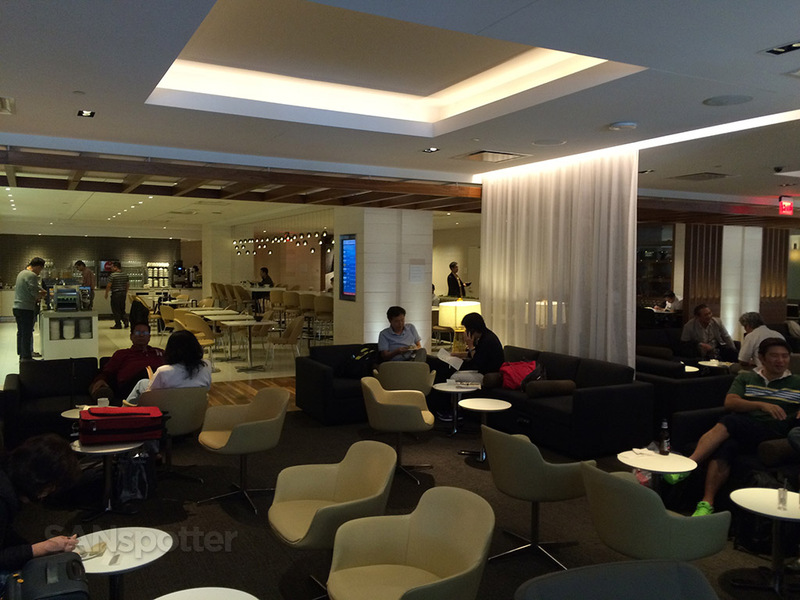 While it is just a bit noisier and slightly on the verge of being chaotic during peak hours, it’s much more stylish and has a much better (and larger) food selection than that other super-fancy lounge offers. 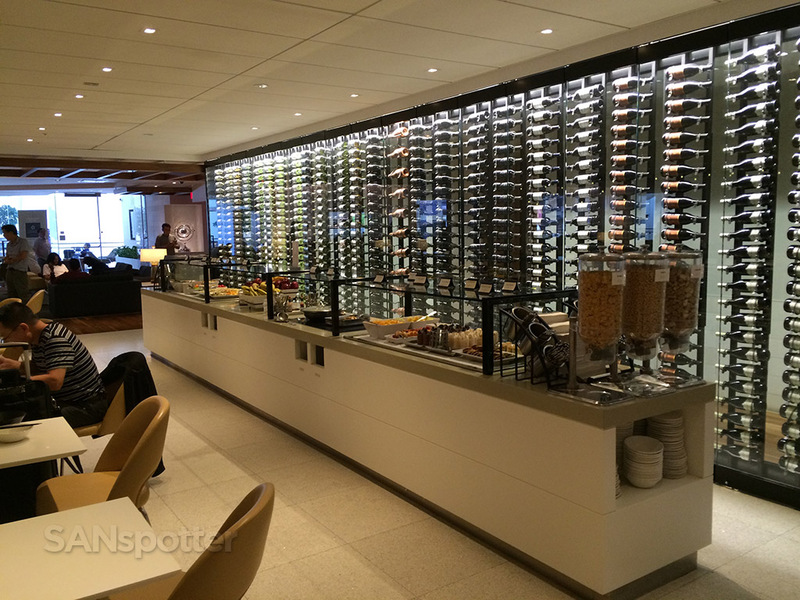 As a matter of fact, if First Class Lounge guests want something hot to eat (without ordering something off the menu), they are told by the staff to get something from the Business Lounge. 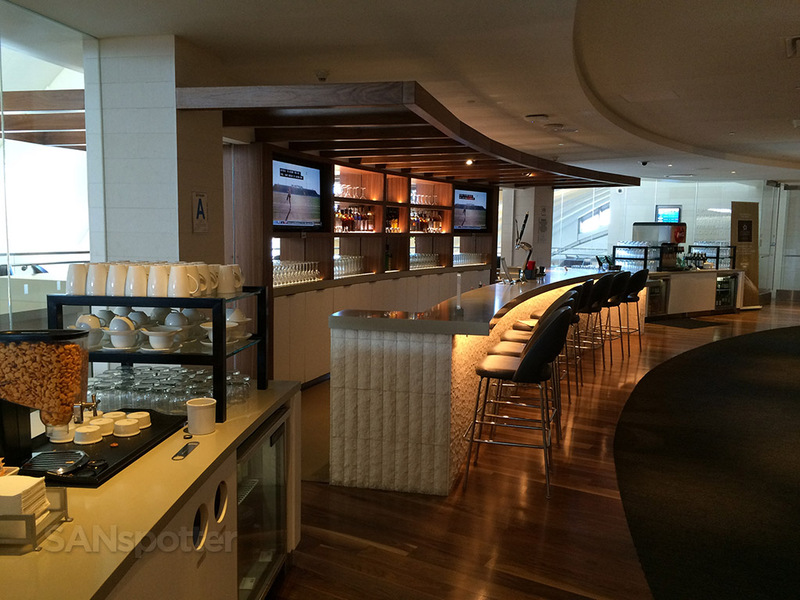 That’s not to say that the First Class Lounge is bad – I liked it quite a bit actually. 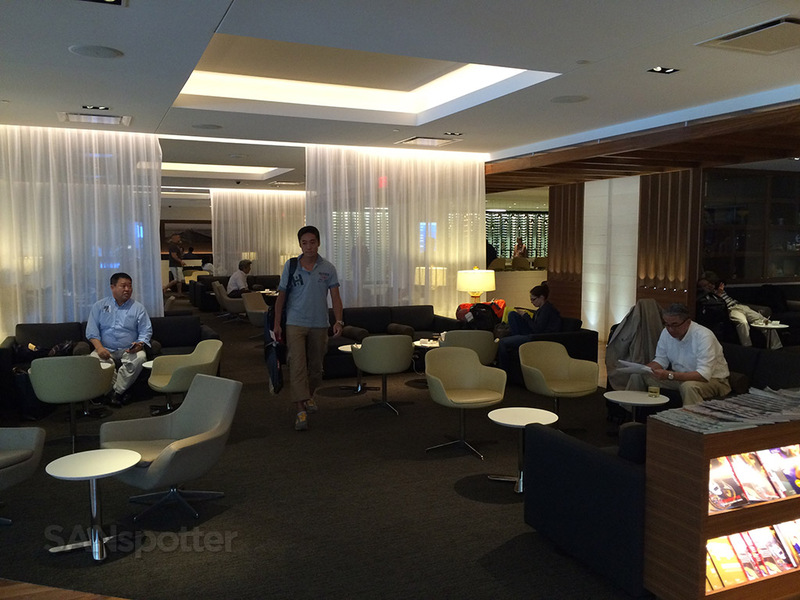 But it just feels so separated from everything else, and I liked the energy of the Business Class lounge better. Immediately upon exiting the elevator, you can see the lounge straight ahead. The Business Class entrance is on the left, First Class entrance is on the right. There’s really nowhere to go if things are a bit noisy for your tastes – this lounge is big, but slightly on the cramped side. One of the best things about this lounge is the fact that there are a wide variety of seating options ranging from cafeteria-like tables to semi-private rooms with plush seating. 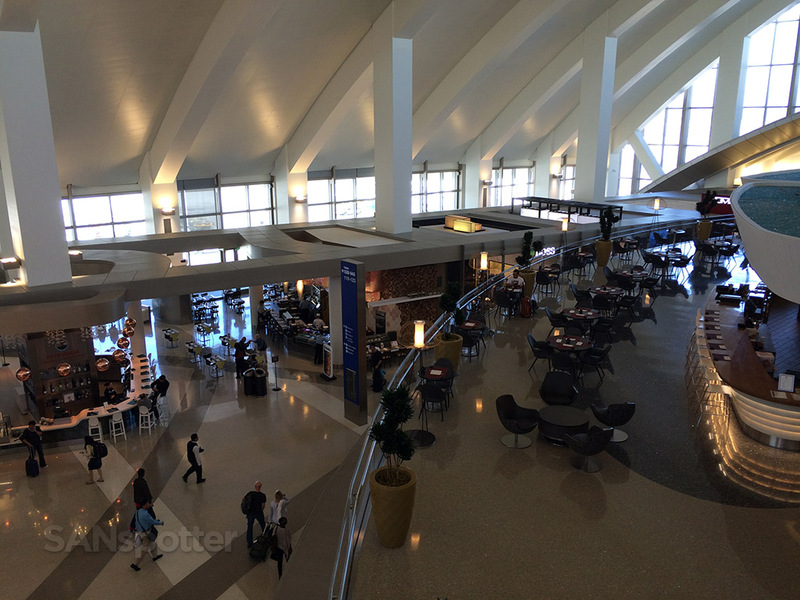 There is also a really nice open air terrace which overlooks the interior of the Tom Bradley International Terminal. 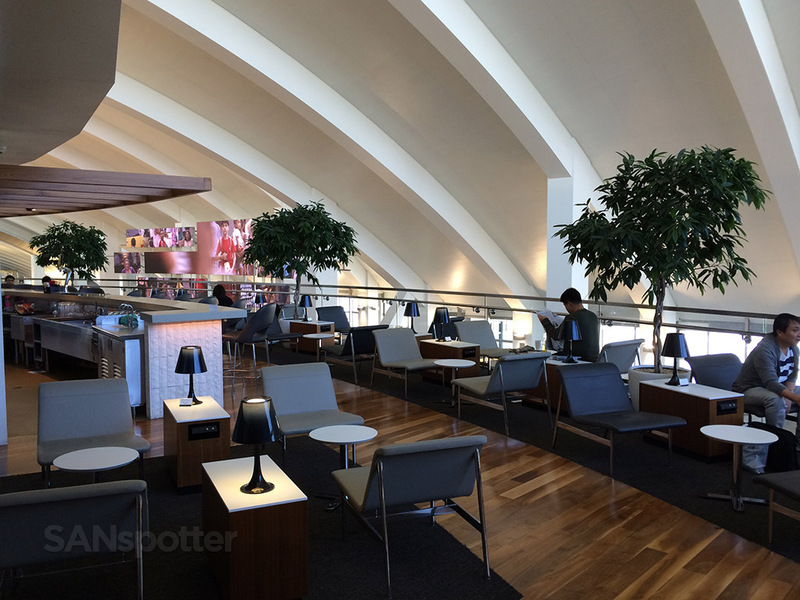 It’s a really good looking lounge, and one of the biggest I’ve ever seen. The open air terrace is nice, but get here early – all of the seats were taken by the time I had arrived (about 11am). 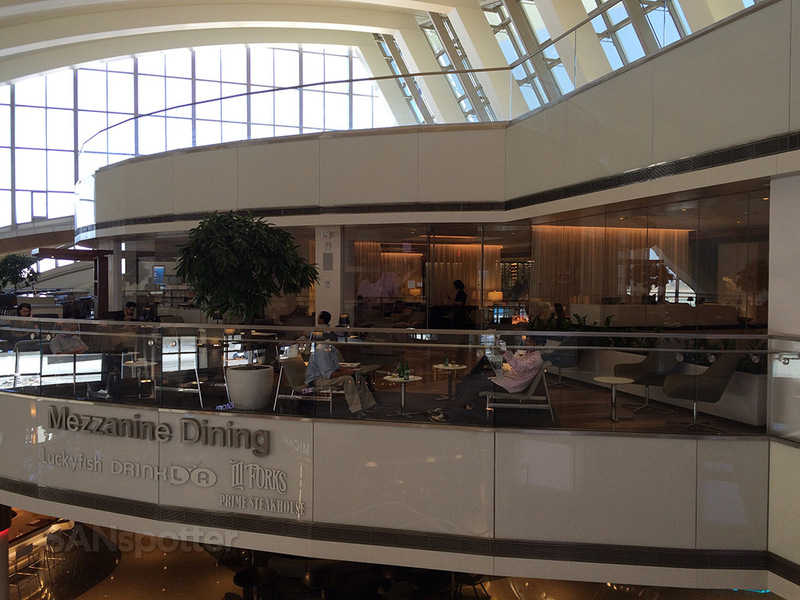 There is a lot of foot traffic below, so the open terrace is a bit more noisy than the interior of the lounge. The biggest drawback to this lounge is how busy it can get. 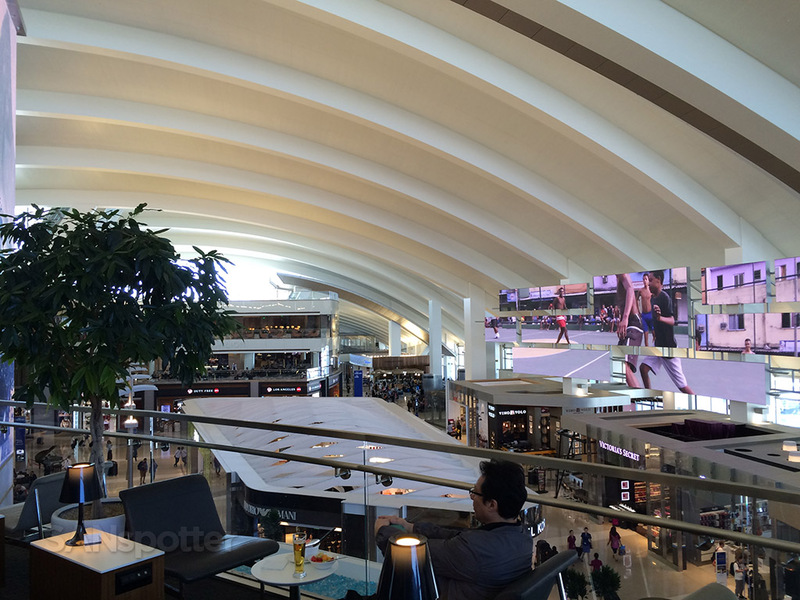 I was there during the mid-day rush, right before the first wave of flights to Asia left for the day. The lounge was busy, noisy in spots, and it looked like it might have been difficult to find a quiet spot to sit and relax. I didn’t do any sitting here – I simply walked through right after leaving the First Class Lounge, but it did strike me as being slightly too busy for my tastes. 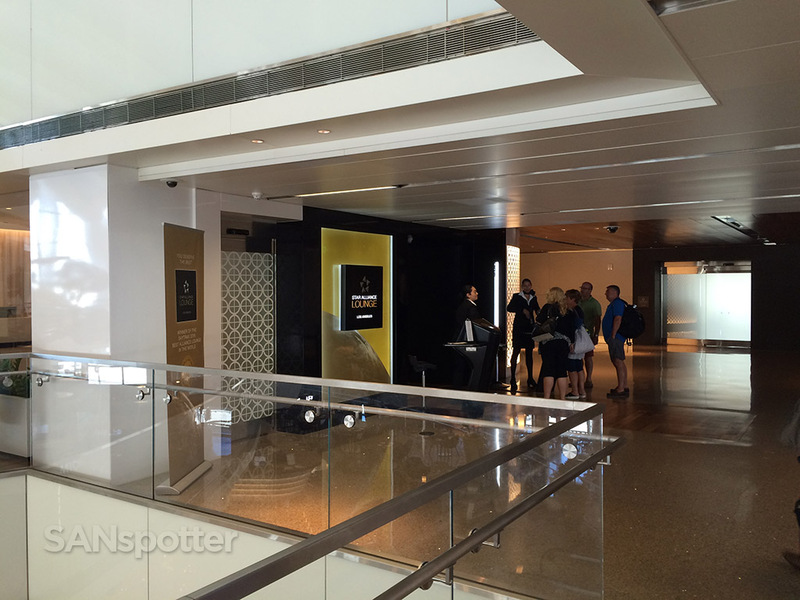 Not as bad as my experience in the British Airways Business Class Lounge at Heathrow terminal 5 two years ago (which I actually had to leave because it was too noisy and chaotic inside), but still a bit irritating. Food options were really good, with a large cold-food bar, and a hot food bar back in the corner. 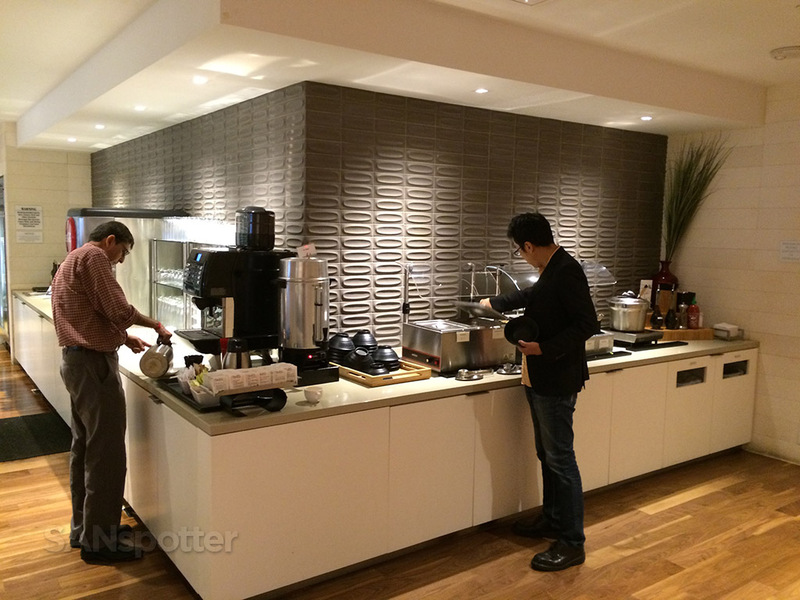 There was also a large staffed bar, but it wasn’t seeing much action this time of day. However, I will say that compared to how busy things were getting below on the main floor (where all the departure gates are), I would definitely consider it to be an oasis. I guess when there are a handful of A380’s and 777-300’s departing within an hour or two of each other, things can get a bit clustered no matter where you go inside the terminal!